Spyralle is enjoying an invasion of colorful beetles and fireflies! They are carrying items from a series of new releases inspired by my long association with the RL craft scene. If you find one of the insects, pay it 25L, and like a gacha, it will give you a random prize from the set Craft Gallery 1: Haze Pottery. The gacha key is displayed inside our Mauna Waipi’o entrance. No, the beetles are not the gacha items. Maybe next time. For this hunt, they are just the things you are looking for. They might be flying, crawling or simply sitting still. They come and go. 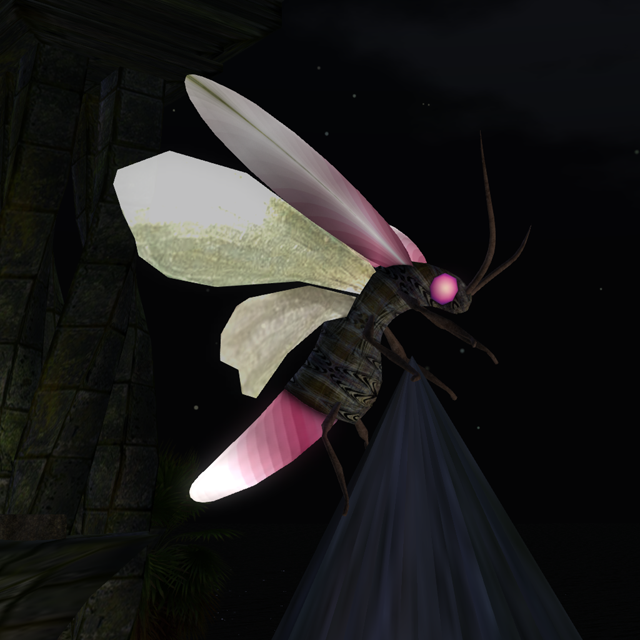 My mesh insects are a project I’ve been working on from time to time for about four years, starting with the little guy at the top. 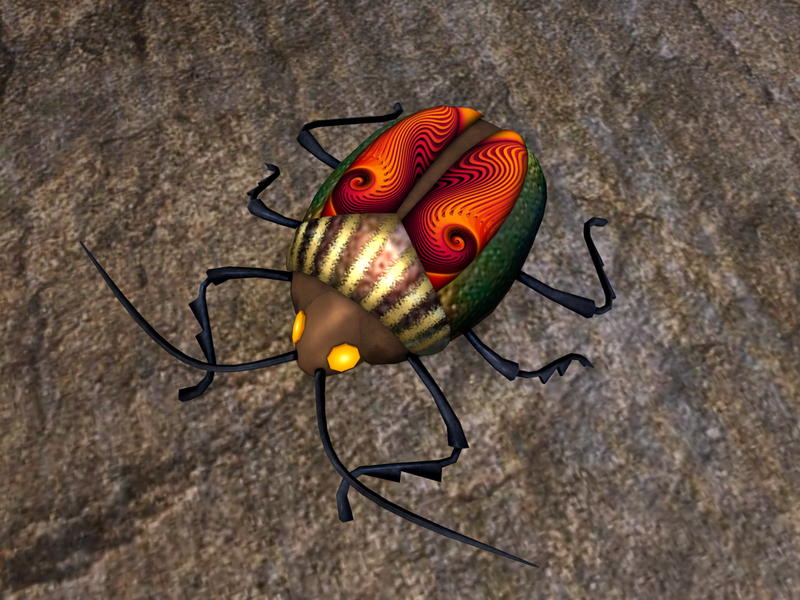 Another version of that first beetle became the scarab we’ve used in a number of jewelry creations. A spider appeared this past October on a hat. Other creatures will be coming along in some form or other. 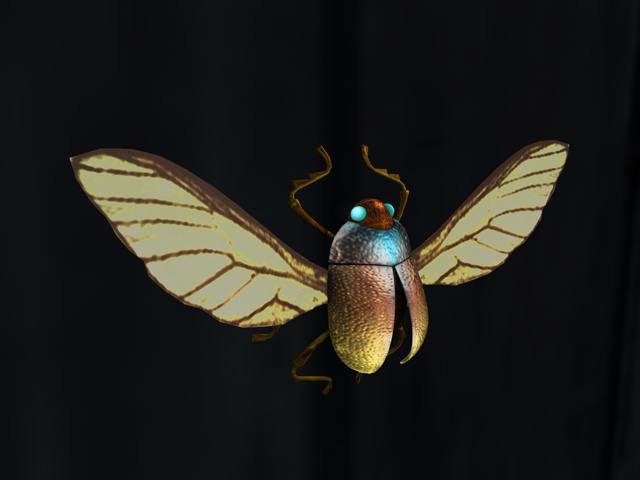 Introduced quietly during the Anniversary Sale, our “bugs” are sort of an experiment to see if we can make gacha as fun as a hunt – by combining the two activities. There will be a lot more information in an upcoming post. And we have a lot of posts coming, because we have fallen way behind on Spyralle news. Sometimes that happens, because Life happens. This afternoon, in the material world, I am baking cookies – at the moment between batches. During this break from baking, something happened. I found my old Twitter password. It still works. About seven years ago I abandoned Twitter and most social media. My reasons, multiple, were good, and they still are. The reason at the top of the list is Time. Time is limited, and the total Time we have is a fund that cannot be replenished. Social media was sucking up more and more of my Time, and there were other things I wanted to spend it on. I quit television even earlier, over twelve years ago. But Second Life and Spyralle are part of the Real Deal. Spyralle is my pastime, my art, my social network (one of several), my work, my fun, my business (more or less). Yet, sometimes, Spyralle steps aside for things like family, the day job, travel, remodeling the house, writing, taking classes, volunteering, being outdoors, making music and, yes, baking cookies, especially this time of year. The part that steps aside is mostly the “marketing,” because to me that is not as important as the creating. That’s just how it is. It’s my choice. So I will blog all that waiting stuff when I can. In the meantime, come to Spyralle and catch bugs! This entry was posted in Commentary and tagged gacha, insects, mesh, Spyralle. Bookmark the permalink.